The quest to meet your reader’s needs depends on the type of information you’re writing. I’m a technical writer by trade, but dabble in fiction when time allows. To meet fiction readers’ needs you should create a character who they identify with or care about in some way. It wouldn’t hurt to also vividly describe scenery and places to allow them to transport themselves there. 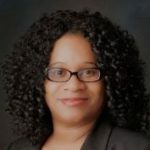 In technical writing, however, your audience might be composed of your colleagues who need to perform a certain task; managers who need your information to make decisions; or a mixed audience who need to learn how to do something. If that doesn’t seem daunting enough, these readers also have unique interests and needs that you must consider when tailoring a communication they will find useful. These four principles are useful to writers, too, when needing to connect with readers. Let’s look at each “C” to see how the principle can be applied to your writing. Think back to the last document you read. Was it clear? Did you understand its purpose? Was the information useful? Writing to provide clarity is crucial to a reader’s comprehension. Take for example a standard operating procedure, or SOP. An SOP reader is interested in performing a certain task. As a writer, you can assume the reader has little or no background knowledge of how to perform this task. In this example, I used a numbered list format to illustrate a step-by-step process to improve clarity. Did you notice that I also used bullets to emphasize the 4 Cs? Other visuals help improve your document’s clarity. Call-out boxes, glossaries, headers, and tables and graphs are helpful in increasing your reader’s understanding and retention of the information. We know that reading through pages of black-and-white text is challenging. Without visual aids, your reader may miss out on important information. For example, in a revenue report, a reader might miss that in 2016, XYZ Company earned $10 million in revenue; $12 million in 2017; and $15 million in 2018. Reminder: Presenting the same information in different ways for readers will help reach a variety of readers who consume information differently. The quickest way to lose your credibility is to make mistakes. Yes, we all make mistakes, but having a second and even third pair of eyes can help spot things you can’t. Remember: Spell checker isn’t enough. Consider the homonyms “blew/blue” and “stationery/stationary.” They are both spelled correctly, but mean different things. Learning correct grammar isn’t like riding a bike, you can forget. Reacquainting yourself with the rules benefits you and the perception of your work. Aside from using correct grammar, get your facts right! Dates, names and titles, figures, study findings, etc., all require you to fact-check your writing. Imagine reading a fiction work, becoming thoroughly engrossed in it — and suddenly, the character “Paul” is now being referred to as “Mike,” with no explanation as to what just happened. Errors similar to this can happen in technical writing, too, and leave the reader just as confused and let down. Making sure your writing is consistent throughout is just as important as creating a document that is grammatically correct and factual. For example, if you write “See Section 4: Paying Invoices for more information,” there should be a Section 4 titled Paying Invoices. The same applies to your tables, charts, figures and other visuals. Be sure to cross reference them. If you refer readers to See Table 1, then a Table 1 must exist in the document. Documenting your organization’s preferred on style sheets (or in a styles guide) can help you avoid mistakes. Meeting a reader’s needs requires a much lengthier discussion than this, of course, but these basic principles can get you started on the path to looking at your writing from the readers’ perspective. Remember: You’re more than just a writer — you’re a reader, too. Create work that you’d benefit from reading yourself. 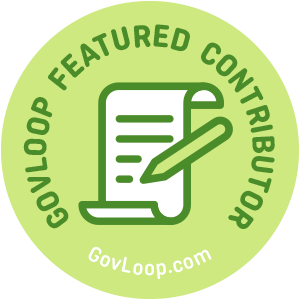 Jennifer Singleton is part of the GovLoop Featured Contributor program, where we feature articles by government voices from all across the country (and world!). To see more Featured Contributor posts, click here. It is helpful also to avoid ambiguity. While one of the meanings of homonyms is words that sound the same but are spelled differently, it has other meanings that could confuse the reader. A better word to describe “blew/blue” would be homophones.